What is a Wonderlic Test? The Wonderlic Test is an important test that has been widely used by prospective employers to assess different abilities in a candidate. It has 50 questions to be answered in 12 minutes. A score of 20 reflects average intelligence and a score of 10 points and below means that a candidate is illiterate. 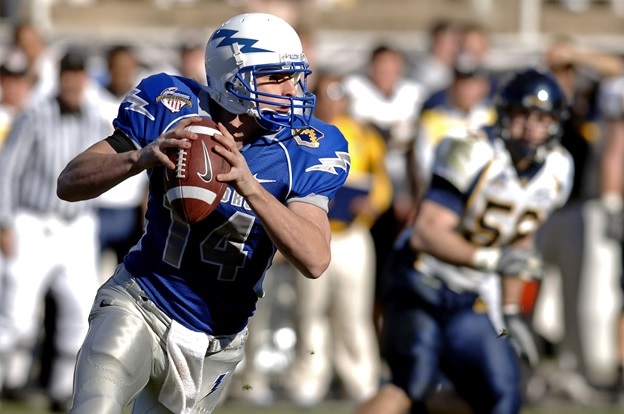 In NFL, the test has played an important role in assessing team making efforts in a player. The NFL uses the test to assess the critical thinking abilities of a player. As a matter of fact, the NFL usually doesn’t consider whether a player is good in Math or understands what the meaning of certain words is. It cares about the ability of a player to solve problems within the shortest time possible. 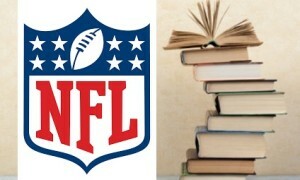 Wonderlic Tests help to analyses the potential of an NFL player. It measures a players skills, and how the player can perform at the next level. Therefore, if you are curious about whether the score determines the overall performance of a player, the truth is that the test offers a good comparison on what to expect in the future. Football is an incredibly physical sport. Those playing at the top of the game all require specific diets and workouts for their position, ensuring that they’re in peak physical condition by the beginning of the season. However, all positions require strong athleticism and benefit from specific workouts. For any aspiring athletes hoping to play at the highest levels of competition, it’s important to know the basic form of a football workout. 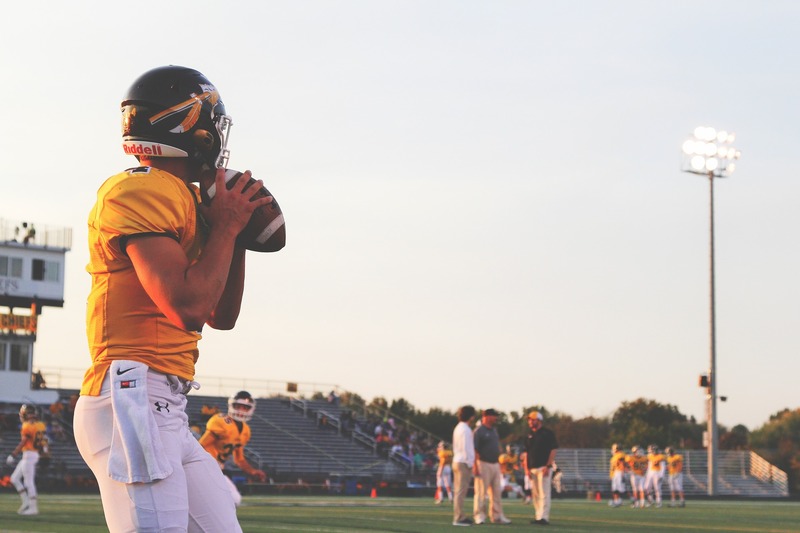 For a football workout, the goal is pushing each area of the body to its upper limit — focusing on those most important on the field — through targeted workouts. Here is a basic overview of effective workouts for each area. For expanding one’s upper body strength, nothing beats pressing. A good upper body workout should include a combination of flat bench press, military press and inclined dumbbell press. Pressing is great, as it works out the most important muscles in the upper body: your pectoral, deltoid, and triceps. The Sports Then and Now Vintage Athlete of the Month was perfection personified as a wide receiver during his NFL career. 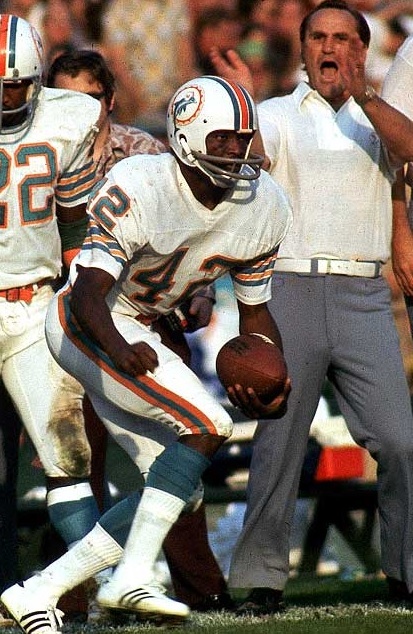 Known for his fluid movement, grace and jumping ability during his 13 year NFL career, Paul Warfield was an eight-time Pro Bowl selection and key performer for the Miami Dolphins during their 17-0 campaign in 1972. Because the role of the wide receiver has changed so much and today’s star receivers get the ball thrown to them so many more times than in the pre-1978 era, Warfield is often overlooked when discussing all-time greats. The way we develop is always a wonder to behold. It’s easy to get lost in the grand scheme of things, especially with how busy and upbeat modern-day life is. But once in a while it’s nice to take a breather and take a look back at how we used to be. One good way to appreciate how far we’ve come as the new generation is to appreciate how much we’ve grown since our forefathers. The realm of the NFL will always be one that is held close to the soul of the nation. The athletes who are worthy enough to play in the league are no less than legends in their own right. Sure, we can easily compare modern NFL players with each other. There are many sites that provide fantasy football stats for the extremely enthusiastic football fan. But there’s a certain sense of nostalgia in looking back at how things and people used to be. So, how exactly is the new generation of NFL athletes different from the legends of old? While this hasn’t technically changed over the past years, this is still an important thing to note because the competition for the spots on the rosters has only grown fiercer. NFL athletes earn an average of about $2.1 million per year and only 1% of all college football players ever actually make it into the NFL. The modern NFL player is very well paid. In fact, they are far better paid than their older counterparts who still needed to find side jobs in order to sustain themselves. Bucky Pope caught 10 touchdown passes and averaged 31.4 yards per catch during his rookie season in 1964. Even though Los Angeles Rams receiver Cooper Kupp was a third round selection in the 2017 NFL Draft and a third-generation NFL player, his emergence as a star receiver for the Rams conjures comparison to another small school player who made an immediate impact more than 50 years ago. With a 5-7-2 overall record, the Los Angeles Rams didn’t have a lot to celebrate during the 1964 campaign. However, one bright spot was the emergence of eighth round draft pick Bucky Pope. Known as the “Catawba Claw” because he played his collegiate football at tiny Catawba College in North Carolina, Pope proved to be one of the greatest deep threats in NFL history. He emerged as a deep threat with a 65-yard touchdown reception from Bill Munson against Detroit during the second week of the season and over the year caught 10 touchdown passes, including six touchdowns of 48 yards or greater. In a 42-14 victory over the San Francisco 49ers in week six, Pope caught four passes for 141 yards, including touchdown catches of 48, 68 and 18 yards from Roman Gabriel. 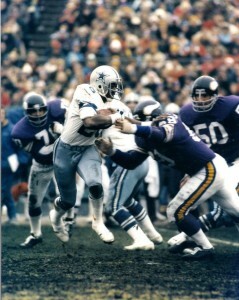 Twice facing Vince Lombardi’s Packers, Pope had a 55-yard touchdown reception in their first meeting and a 95-yard score in the final week of the season. Overall, Pope caught 25 passes for 786 yards and 10 touchdowns. His 31.44 yards per catch were the second highest single season total in NFL history. Unfortunately, Pope’s amazing rookie season proved to be something he could not repeat. He hurt his knee during a preseason game in 1965 and didn’t play at all that season. 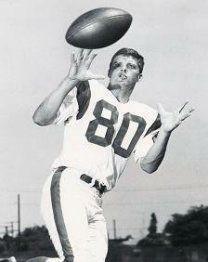 He caught one pass, a 14 yard touchdown pass, during the 1966 season. 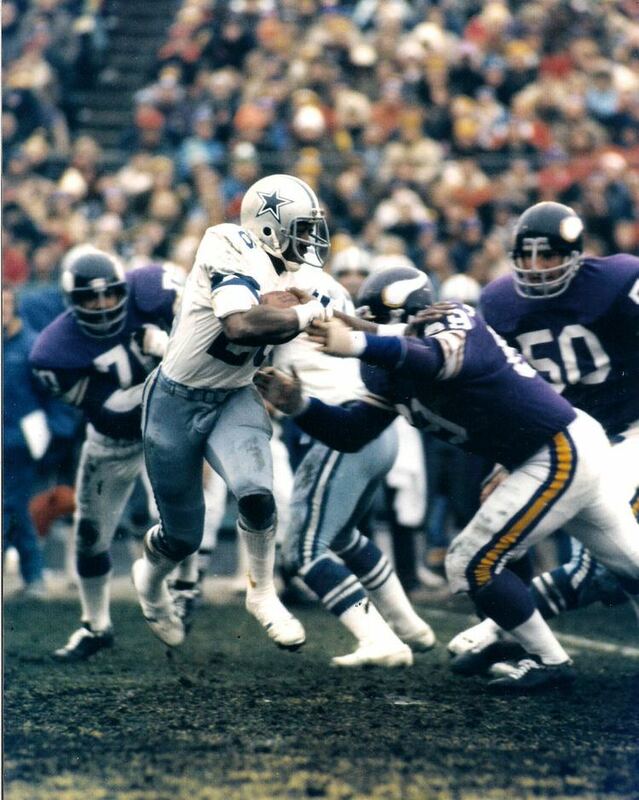 In 1967, he caught eight passes for 152 yards and two touchdowns. Included in that total was a 48-yard touchdown catch against the Eagles that would prove to be the final touchdown catch of his career.